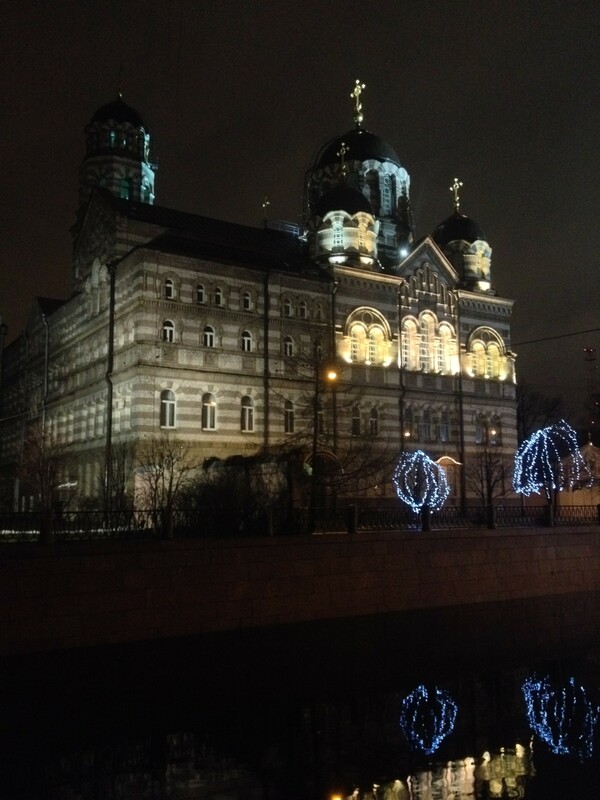 The beautiful Convent of St. John of Rila in St. Petersburg, Russia looks amazing at night. Closed by the Soviets in 1923, the nuns were all exiled to Kazakhstan. The convent was reopened in 1991. Valediction from John Calvin to Martin Luther Fail Not, Every Night, to Pass an Inquisition on Your Soul Charles Spurgeon on John Wesley St. John Chrysostom’s Sermon on John 3:16 – Still Powerful Today! Hi Owen – I was at Rila monastery in Bulgaria in 2006. How is this convent connected to that? As far as I can tell, the convent was founded in 1900 by St. John of Kronstadt (island near St. Petersburg). His patron saint was St. John of Rila, so he named the monastery after him.